A view of the surroundings from the Omak Mountain Road. are gated closed and some seem to be roads to nowhere, but others provide miles of pedaling to enjoy. 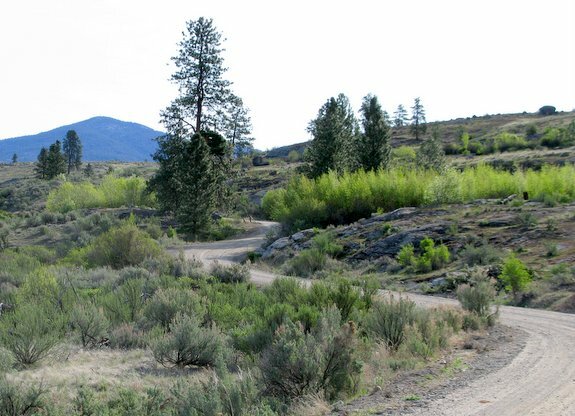 With either a cross bike or a mountain bike, you’ve got many days of two-wheeled exploration to enjoy up on this sprawling hill overlooking Omak. Some of the smaller roads also offer enjoyable places to stretch the legs on a quiet, scenic walk. 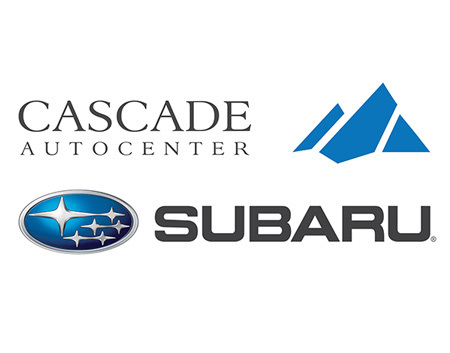 The roads are many but here are a few options to get you started. Pay attention to spurs you pass along the way – some of these will provide new areas to explore on return trips. Access: To reach Omak Mountain Road, follow Highway 155 two miles southeast of Omak to milepost 77.5 and turn left onto the road. Fitness: 1 to 2+ (easy to strong intermediate) depending on distance traveled. 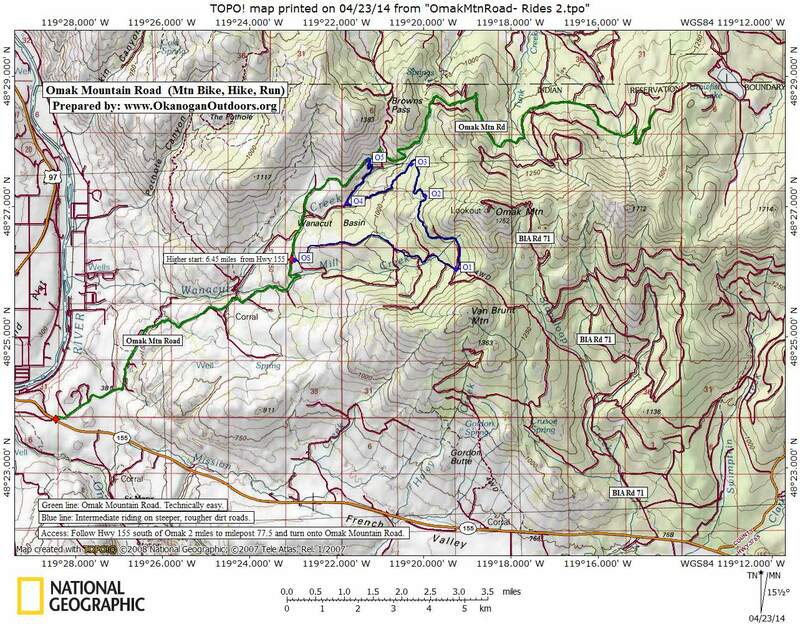 Omak Mountain Road (OMR) is a wide, well-graded dirt/gravel road leaving Highway 155 from milepost 77.5. Ride out the highway and turn left onto the road or park your car in a pullout somewhere near the bottom of OMR. 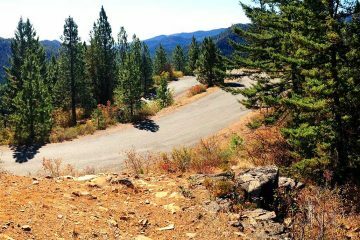 The road climbs gradually from an elevation of 1,200 feet to about 4,300 feet as it contours the western and northern flanks of Omak Mountain. 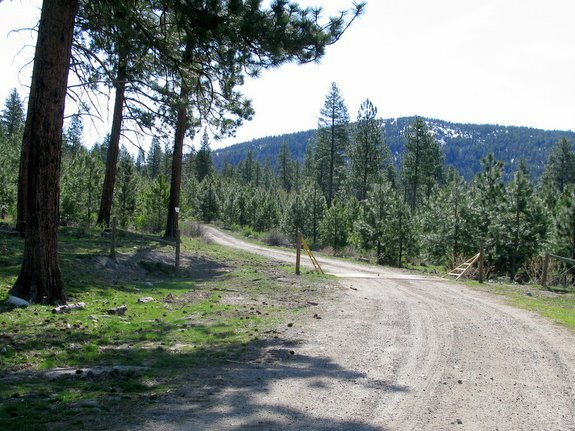 After 18 miles, the road terminates in other roads near the border of the Okanogan National Forest. This is a good ride for beginning mountain bikers to develop fitness and comfort with easy terrain. It’s also a good place for cyclocross riders to put in saddle time and build fitness. 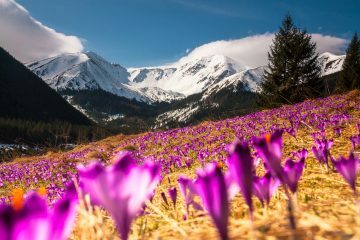 The road has very light traffic and the views out over the Okanogan River Valley, the peaks surrounding the Loup Loup ski area, and snow-covered North Cascades will distract you as you pedal on and on, and up and up. Directions: Park the car and ride, staying on the largest road at each intersection. Ride as long as time and energy allow; then return on the same road. The return will be relatively fast as it’s all flat or downhill. Activity. Ride or walk this loop. For a more challenging route drive (or ride) 6.45 miles up OMR to where a smaller dirt road splits off on the right and climbs more steeply. Park here and follow this smaller road for 3.5 miles as you head east. You’ll pass a variety of spur roads — stay on what is always the bigger road and the road that almost always climbs more steeply. After 3.5 miles, you’ll reach an intersection at Waypoint O1 (elevation: 4000′) where both splits in the road seem equally used. Go left here on the road that appears to be climbing more steeply. This road both climbs and contours up to 4,200 foot level before starting to contour downhill. Two miles from Waypoint O1 reach an intersection at Waypoint O2 (elevation: 4010′) and go left (downhill). In another 1.1 miles, reach another intersection at Waypoint O3 (el: 3570′) — go downhill (left) again. Now you have a more rapid descent for 1.5 miles to a grassy intersection at Waypoint O4 (el: 2900′). 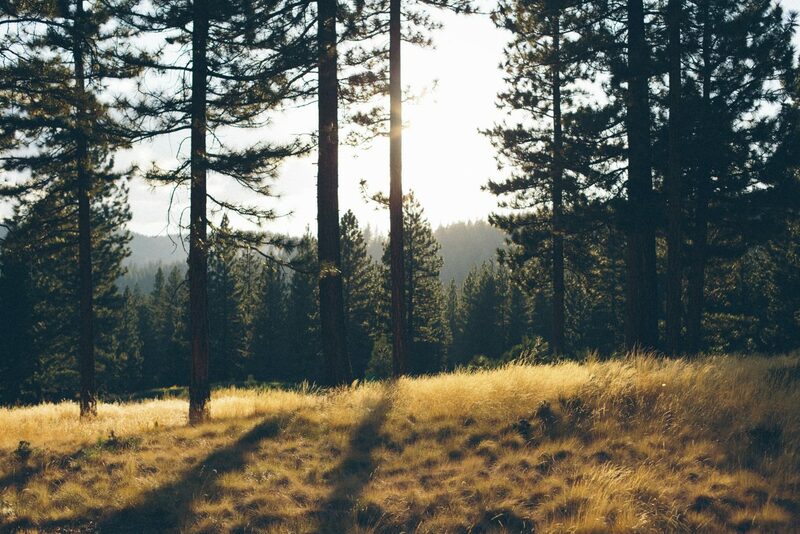 The Intermediate Loop climbs more quickly from range lands into forests of ponderosa pine. A fainter spur goes to the left and this hits private property and a locked gate blocking the road in 150 yards. Instead, fade right on the more obvious road which feels like it’s going the wrong way. It is – that private property is blocking the direct route. Follow the larger road on flat terrain and then uphill for 1.25 miles until it intersects the OMR at a more northerly point (Waypoint O5). Turn left and follow the OMR 2.75 miles back to the starting point. 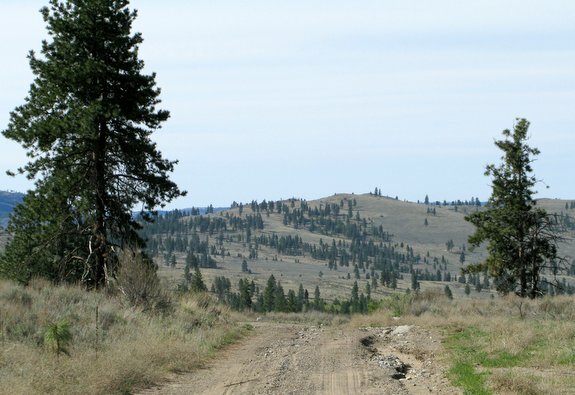 Land ownership: Almost all the land flanking the roads on Omak Mountain belong to the Colville Tribes. While you may use roads that are not gated or signed closed, you should not wander from the roads without permission. A view of surrounding range lands while returning to the start of the Intermediate Loop. 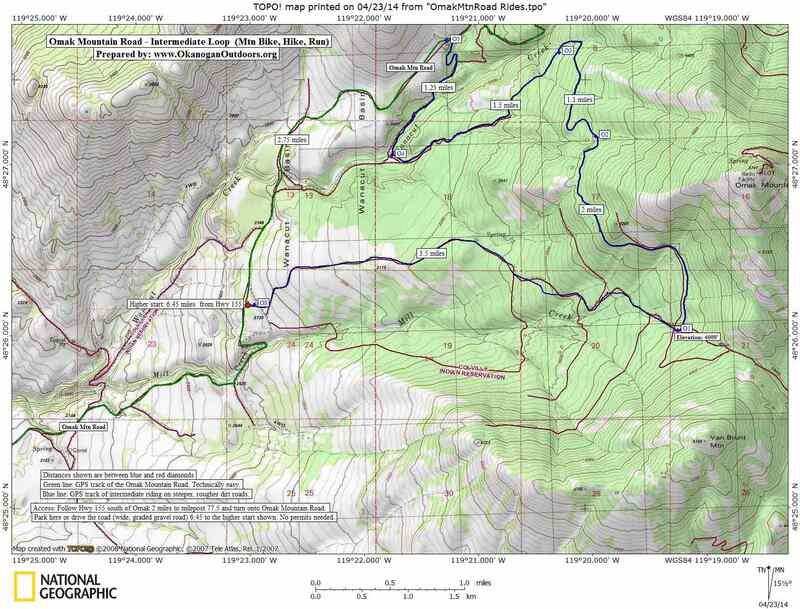 Map: See our topo maps of this ride: 1) Easy ride 2) Intermediate Loop. This post was originally published on 4/26/14.